Make the children colour the clothes first. When they finish, help them cut out the dice and glue it together. 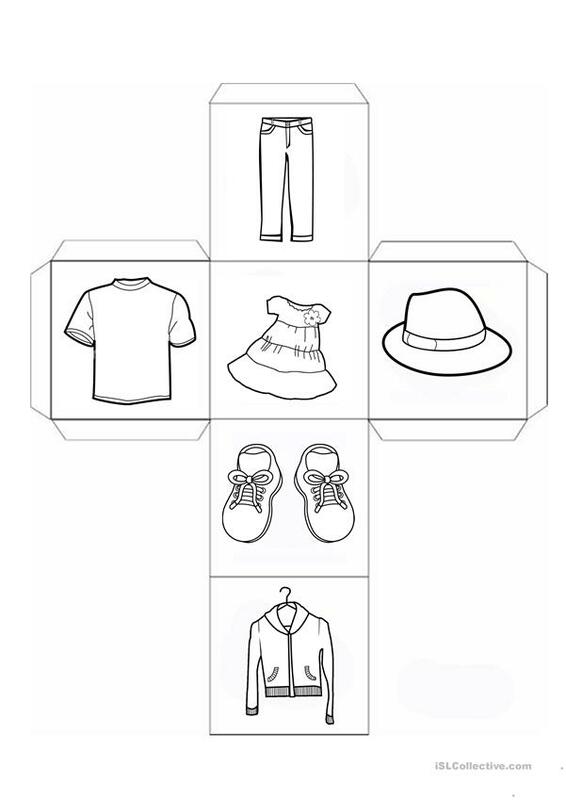 Ask the students to name the pieces of clothes (dress, shoes, hat, t-shirt, jacket and trousers) when they roll the dice. This fun activiity is for younger students (kindergarten, primary hool) and combines crafts, motor skills and ;earning English vocabulary. This downloadable worksheet was created for elementary school students and kindergartners and nursery school students at Beginner (pre-A1), Elementary (A1) and Pre-intermediate (A2) level. It is focused on the theme of Clothes, fashion.